Unbound Hope by Joy Ohagwu is a Christian romantic suspense novel and what a cracking one it is. It is the second book in the Pleasant Hearts series but can be read as a stand-alone. 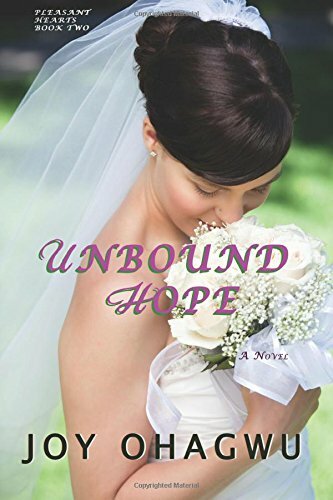 Unbound Hope is Erica and Jim’s story. Unbound Hope gives God the glory as it focuses on the power of God and the power of prayer. “Remember who you are and whose you are.” God longs to have a relationship with each and every one of us. He wants to be part of every area of our lives. Being a Christian does not prevent bad things from happening but when they do, God walks alongside us. He has promised to never leave us or forsake us. Prayer is just a conversation with God. Jim prays to God about every area of his life. “Talk to God before you say no.” He realises the importance of taking everything to God in prayer. Erica has yet to learn this. “Why couldn’t she even pray? Was she afraid to hear God say yes?” Erica fears her past will exclude her from God’s promises.